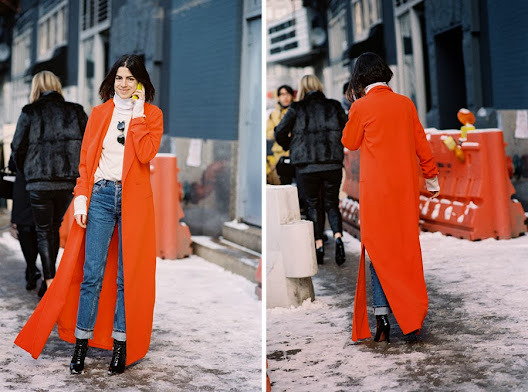 Leandra Medine of The Man Repeller, before Theory, NYC, February 2014. Throw a maxi coat over a turtleneck and a pair of high-waisted jeans like Leandra has for maximum impact. What a great outfit. This is the best she has ever looked. haha, what a retro look! i like how she's always very brave with what she wears. @Lauren and @Agnes - I know right?! 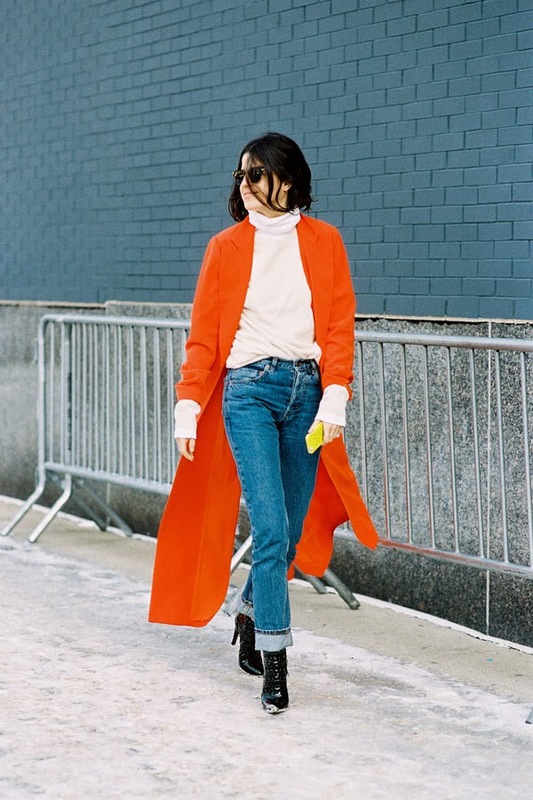 Amazing coat and I love it with the skivvy/turtleneck sweater, and those boots. Such a great look!